Planning to buy a gift for the guitarist/guitar in your life? Labeled as ‘The best Capo you can buy’ the G7th Capo really does live up to its reputation. With its patented squeeze on, squeeze off action you can quickly move the capo around the headstock with confidence that you will stay in tune. 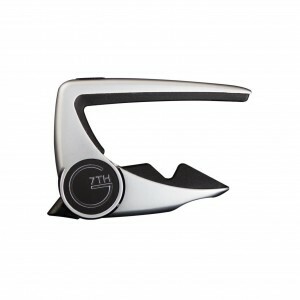 The G7th Capo comes in several colours and models! Not only does the Hercules GS414B fold into a compact size perfect for gigging, it is also universal and can be used with Electric, Bass and Acoustic Guitars. The Auto Grab System will keep you pickup up and placing your guitar on the stand just for fun. Want something even more compact? Take a look at the Auto Grab Hercules Wall Hangers. 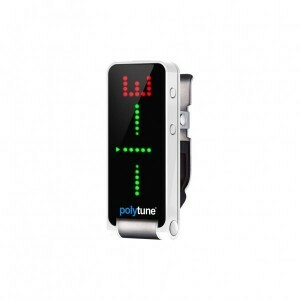 A tuner like no other, the Polytune Clip combines state of the art TC Electronic Polytune technology and places it in a stylistic Clip-on package. Not only can you tune each of your strings to perfection using the ultra bright display, you can also strum your open strings and see which strings are out. Are you a pedalboard kind of guitarist? Polytune also use this technology in their awesome Polytune pedals. 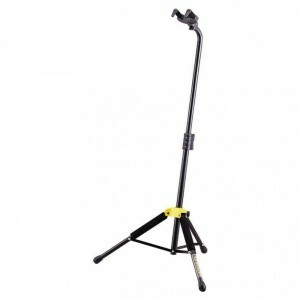 If you want to achieve epic bowed ambient sounds, the eBow is for you. Using direct string synthesis the eBow creates a single string feedback loop that will give your guitar infinite sustain rich in harmonics. From Eleanor Rigby to Sigur Ros, you really need to hear this product in action to understand what it is capable of. We suggest visiting the eBow website for lots of examples and sound bytes. No eBow would be complete without some good reverb. Running this accessory through one of the many reverb pedals available is a great way of creating lush, atmospheric soundscapes. 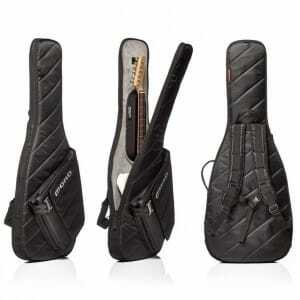 With its quick top loading design, stylistic look, feel and build quality, the Mono M80 guitar sleeve is a perfect alternative to a hard case. Boasting 360 degree protection, headstock protection and a water resistant outer shell, your pride and joy will be safe and sound in this portable sleeve. Available in different colours, Mono also do several alternatives with even more protection. Treat your guitar to a clean with some Music Nomad All in 1 guitar cleaner for an ultra slick, streak free, high shine look and feel. You can clean, polish and wax with this one bottle and it is even biodegradable environmentally friendly. Music Nomad make tonnes of guitar care products that are worth a look to keep your axe of choice like new. Are you having trouble keeping your favourite guitar strap in place? The last thing any musician wants is for their guitar to come off of its strap whilst playing onstage. Especially for those guys who like to spin it around their heads. 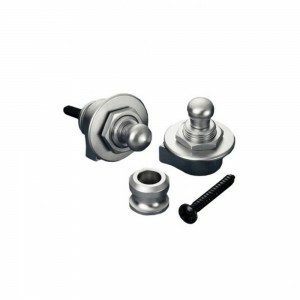 The Schaller security locks are an upgrade for your guitar to ensure that your strap stays in place and is easy to install. Available in several different colours, you will be able to find the perfect match for your axe. Not playing enough because it takes 10mins to set up your pedalboard? If you want a plug and play amp that has a great tone and can be taken anywhere then the look no further. 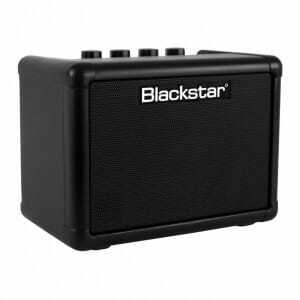 Boasting 2 channels, an ISF dial, tape delay and an audio IN the Blackstar Fly is a great accessory for any guitarist. Want a stereo rig? You can buy an extension cabinet for £19.99 for double the fun! 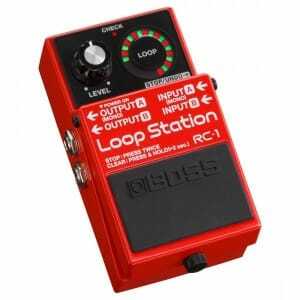 Want a looper that just loops? 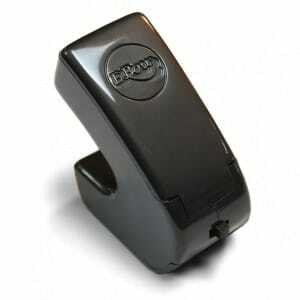 Boss have you covered with their most recent looper pedal. The RC-1 boasts a whopping 12 minutes of recording time with infinite overdubs and has a stereo in and out for guitarists using stereo effects or even keyboard players. Want more from your looper? Boss have several different models that will cover your needs. 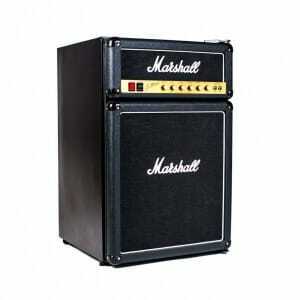 Based on the iconic Marshall JCM800 stack, the Marshall Fridge Freezer is a must for any musicians pad. Keep your beers cool and your ice frozen, this 112 litre fridge will certain turn heads. Our top 10 guitar accessories in no particular order. I think you will agree that any guitarist would be more than happy to own some of these items. Let us know which of these items you own / have on your wish list!